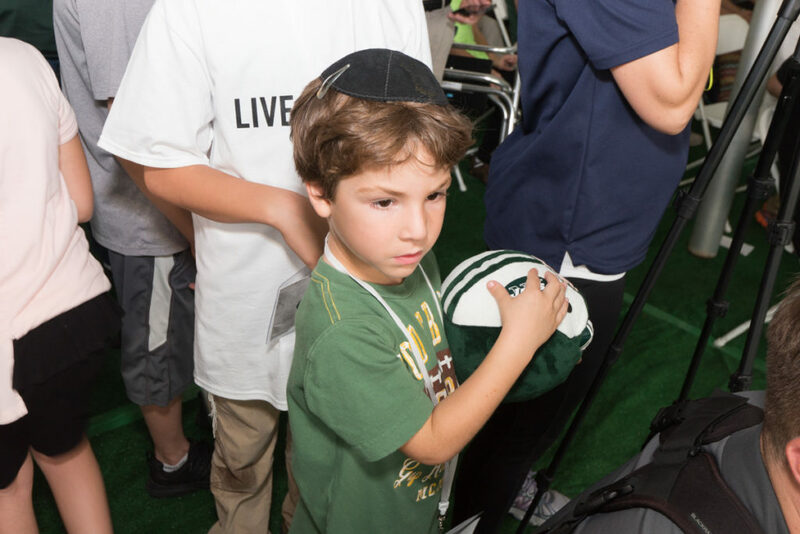 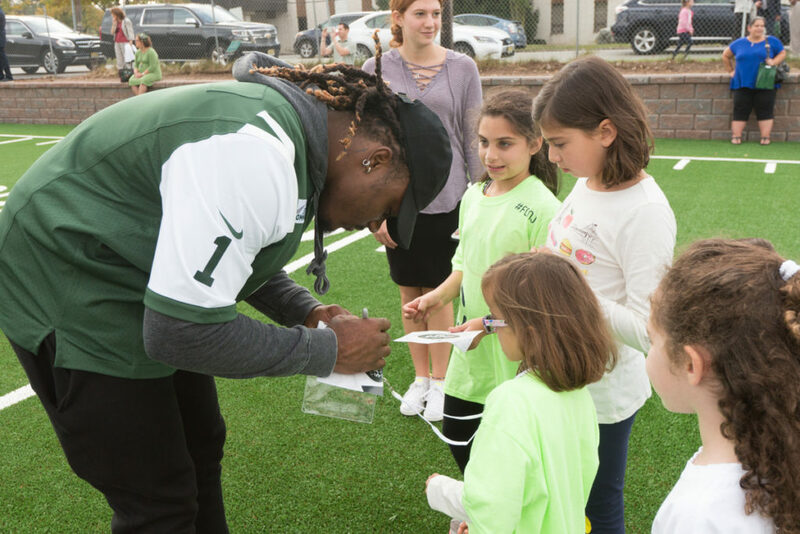 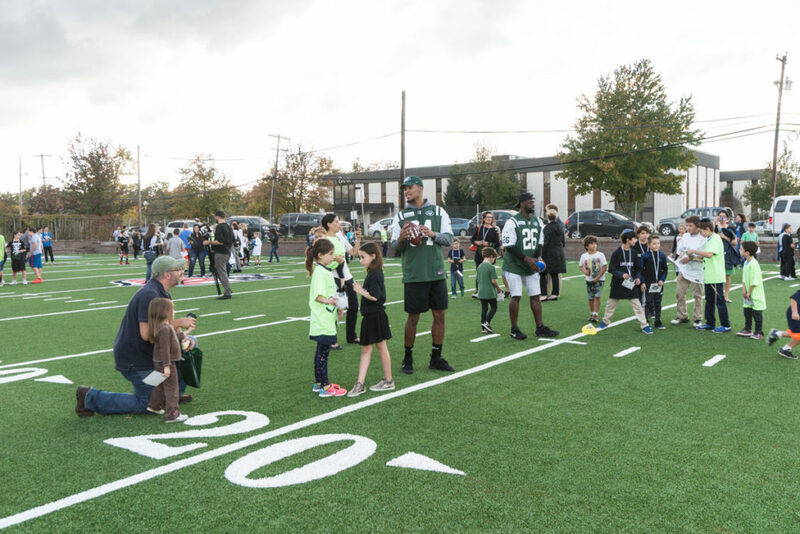 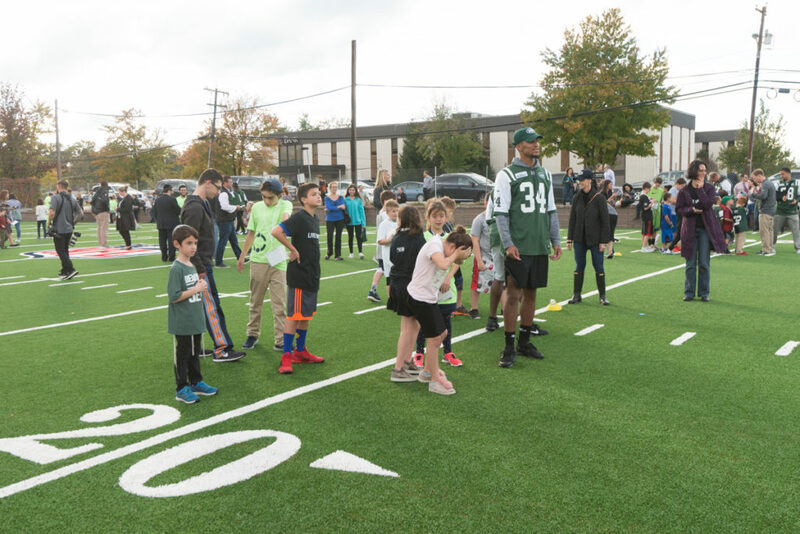 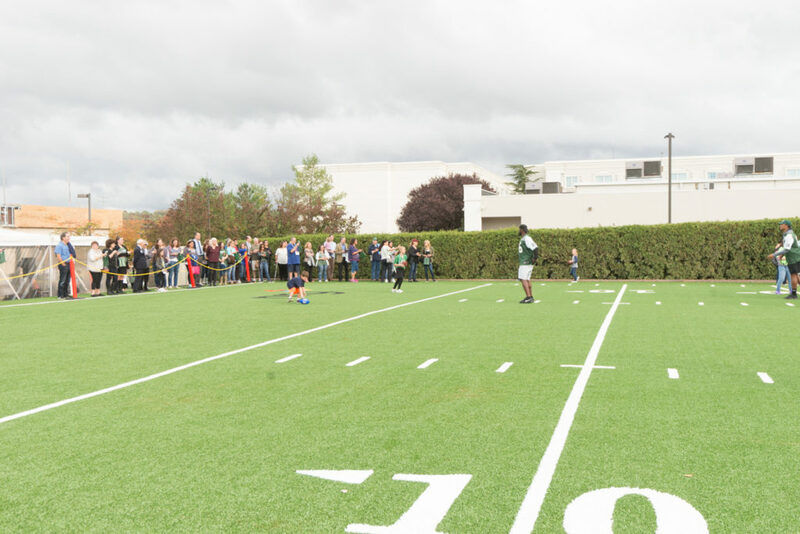 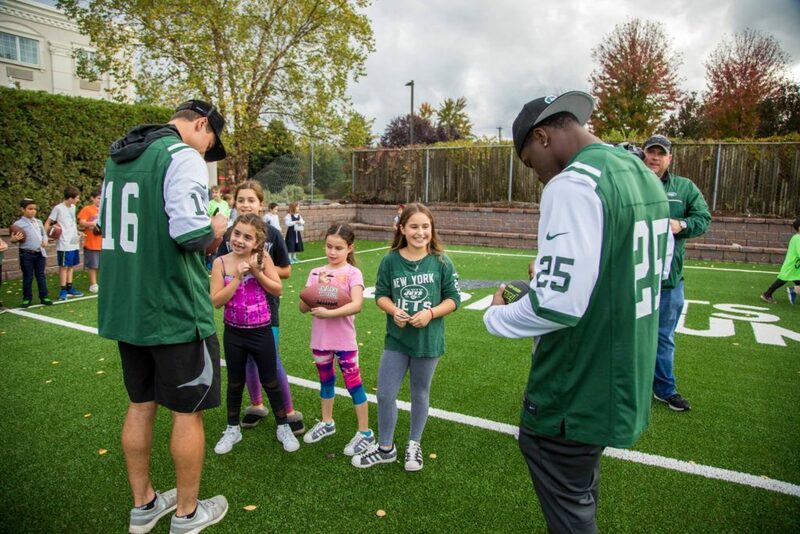 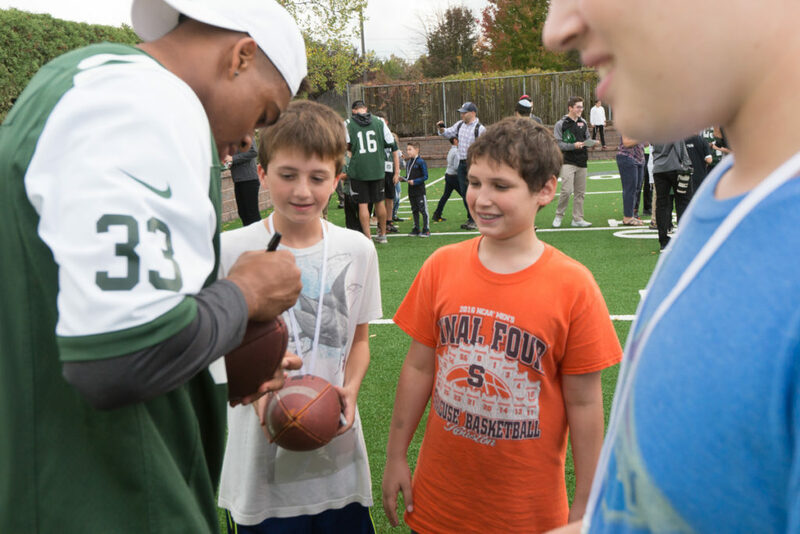 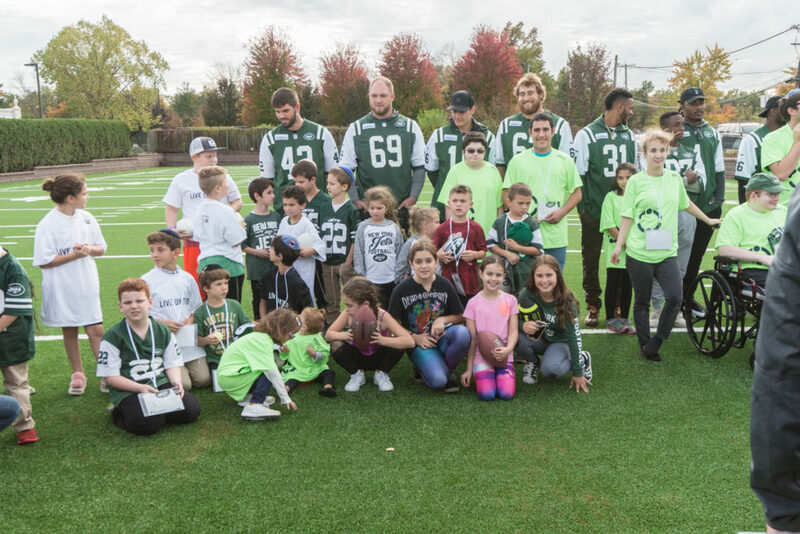 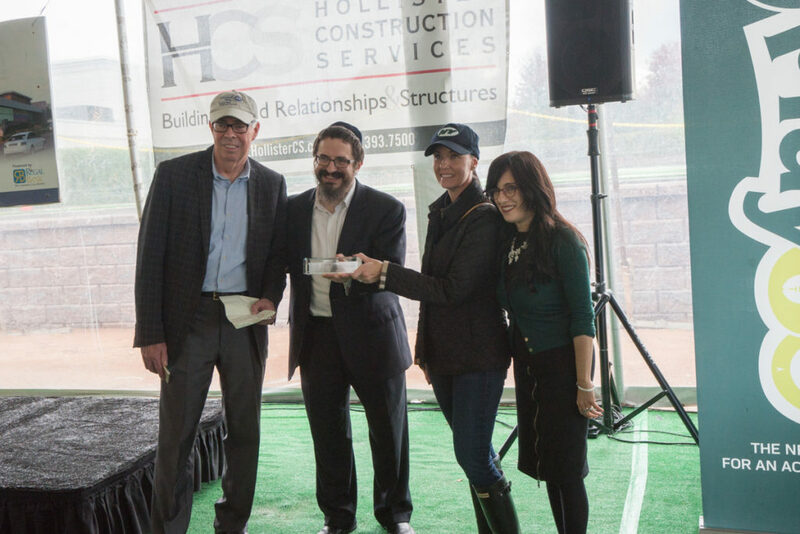 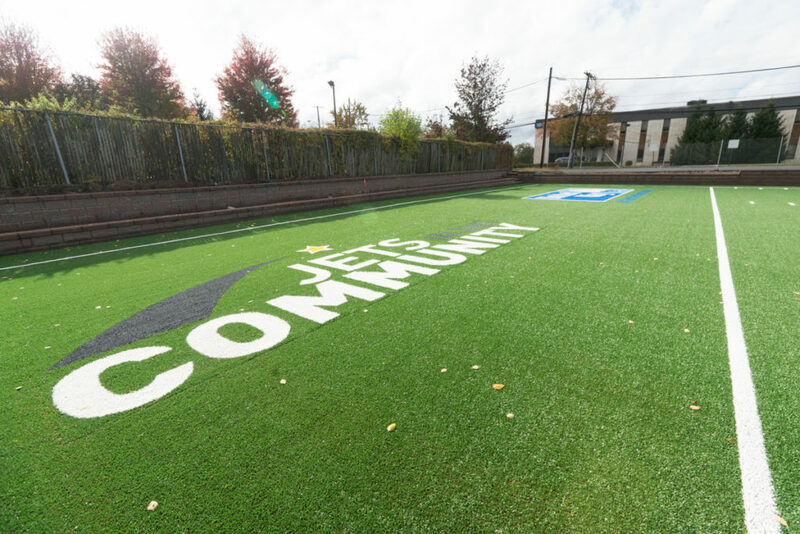 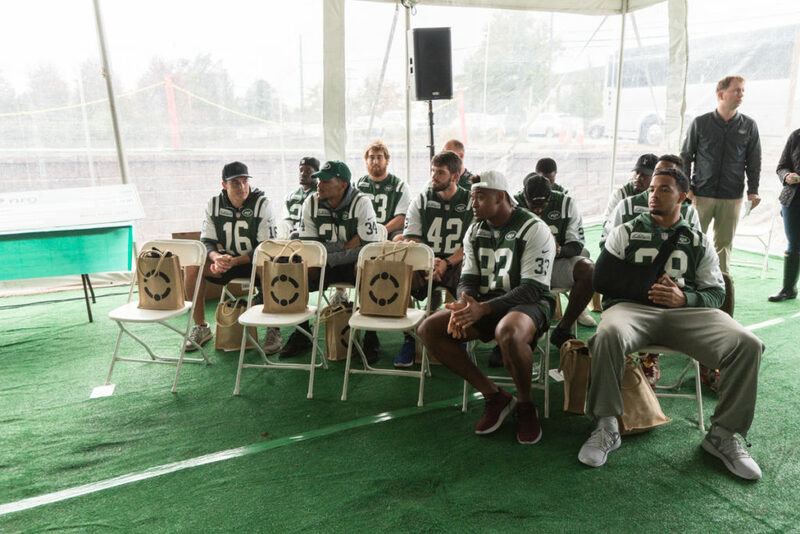 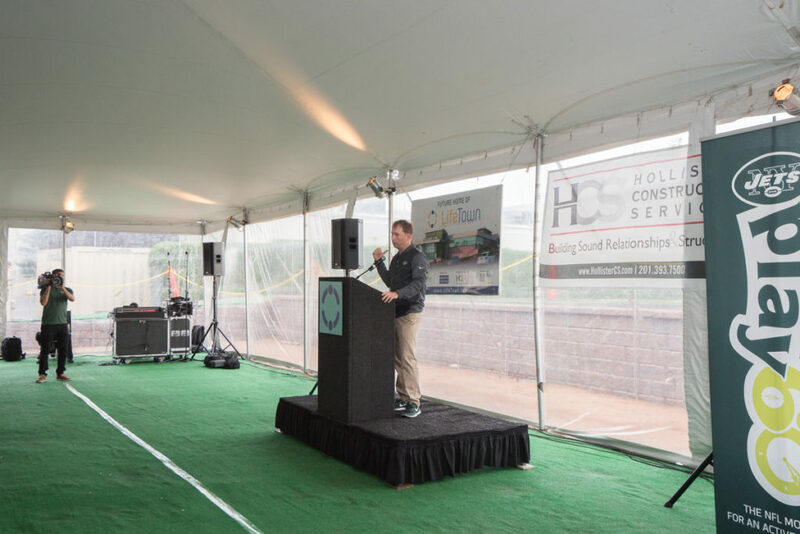 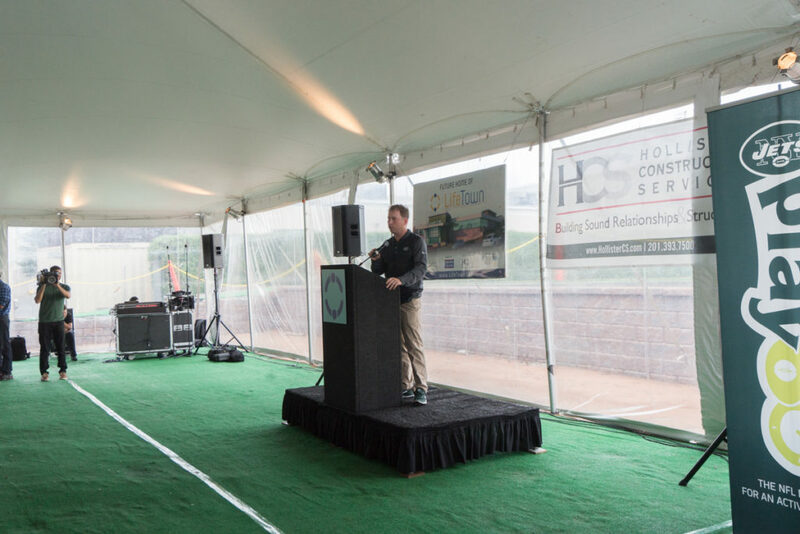 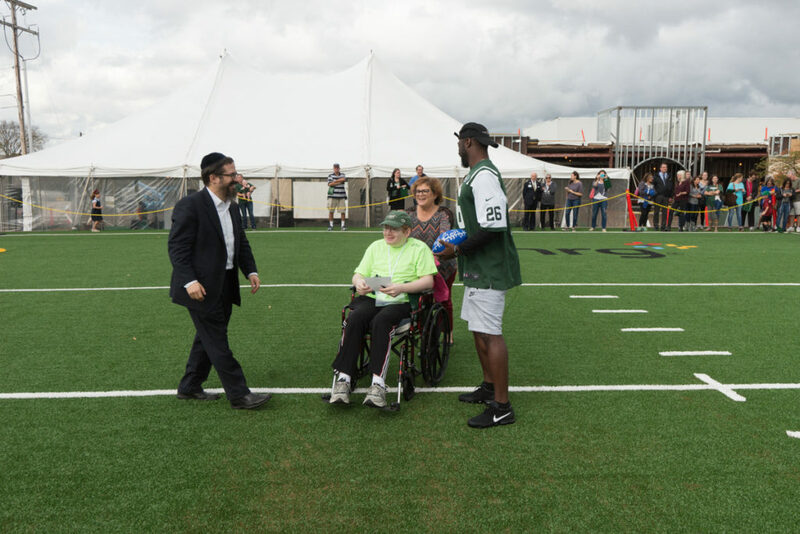 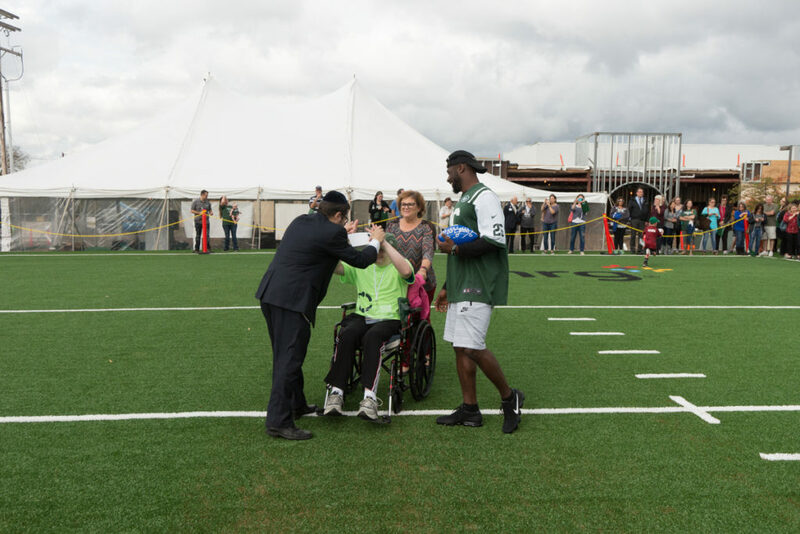 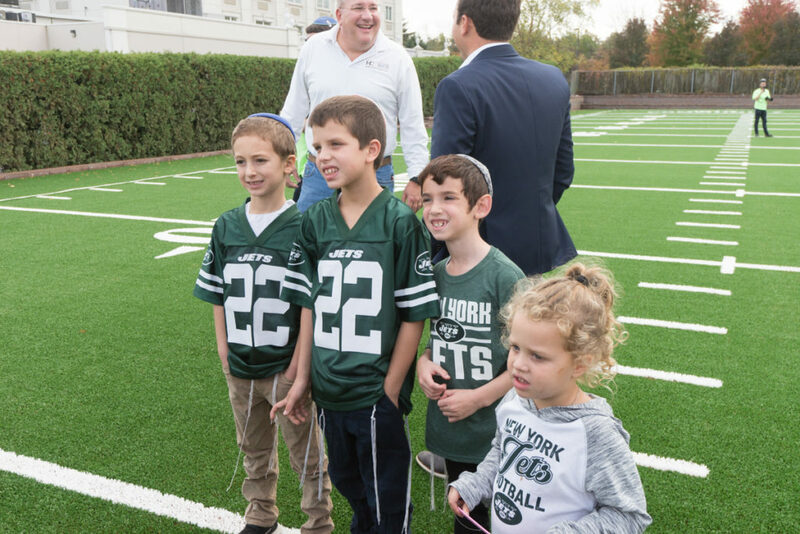 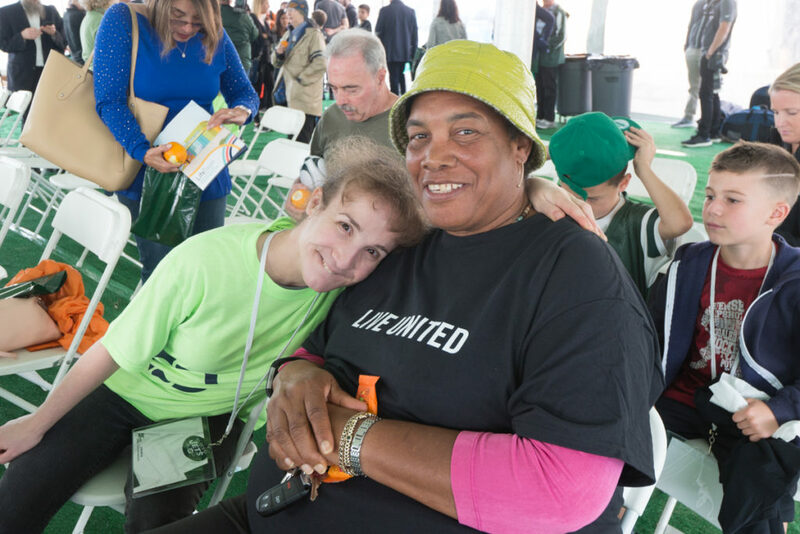 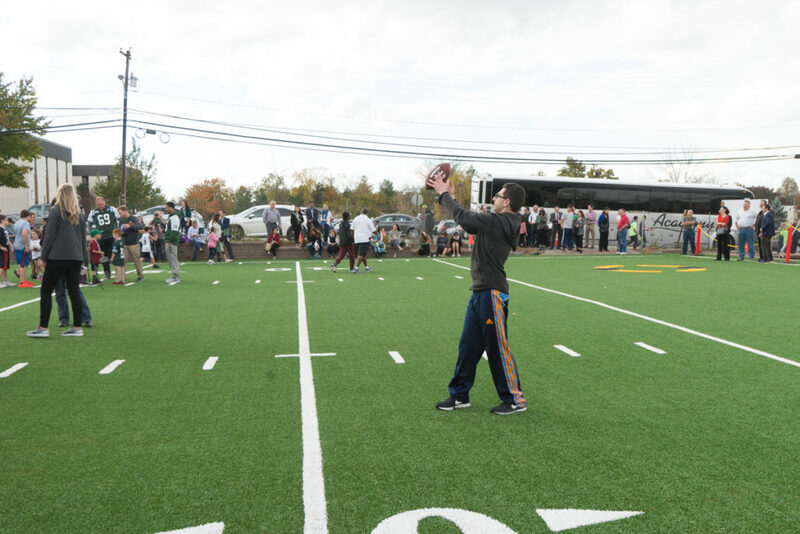 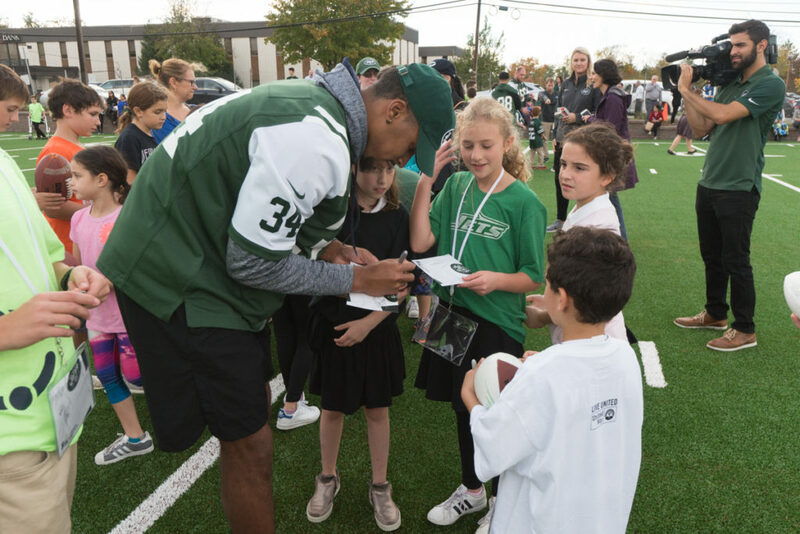 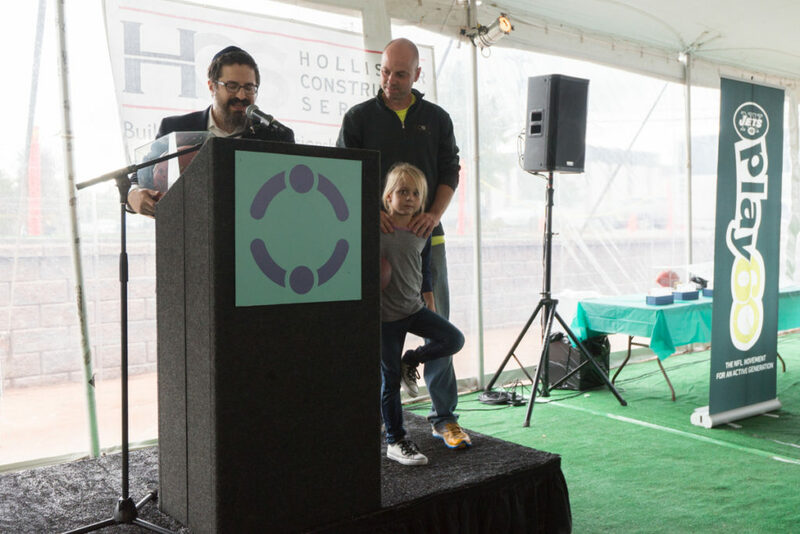 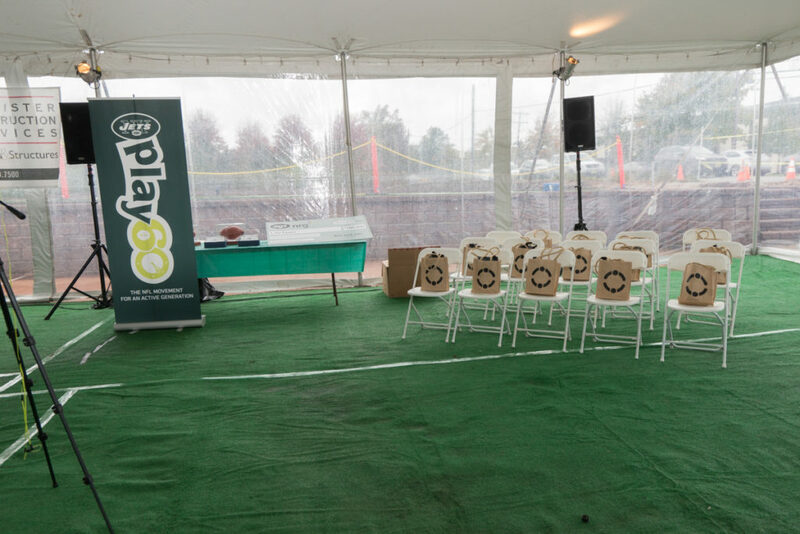 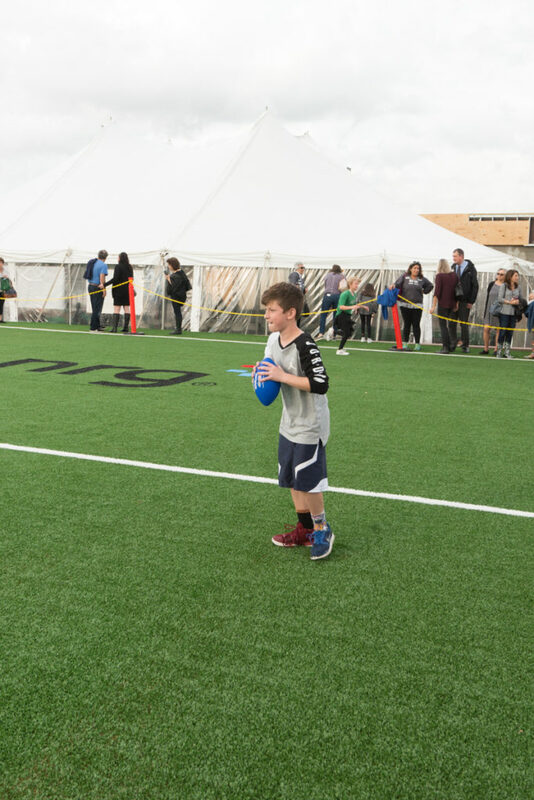 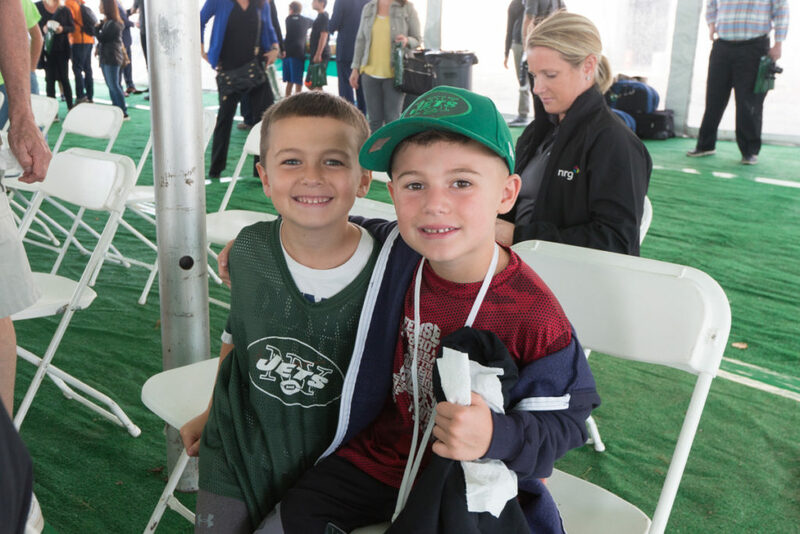 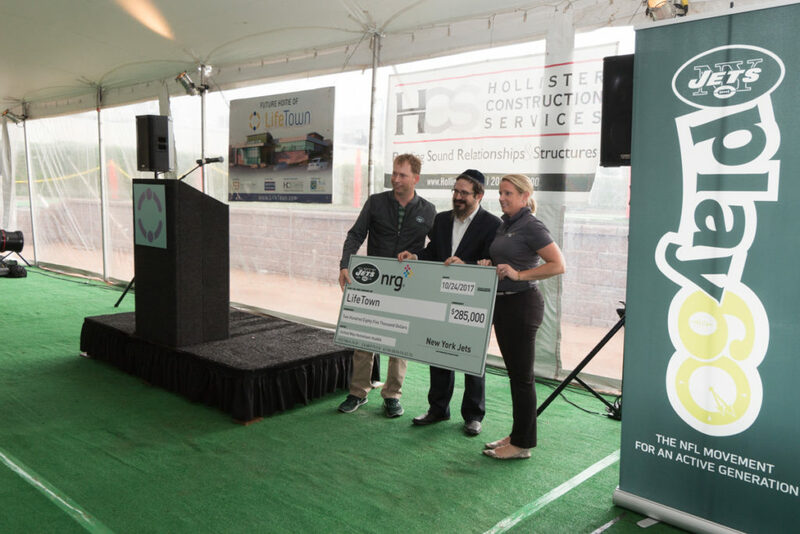 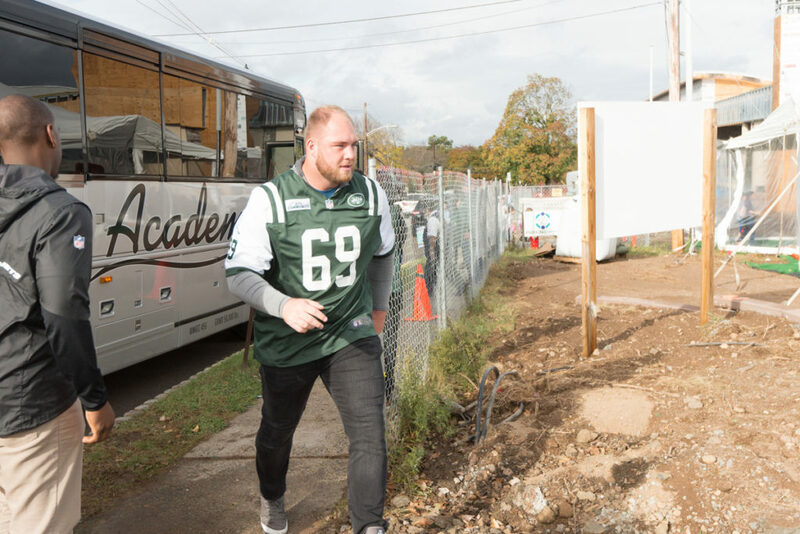 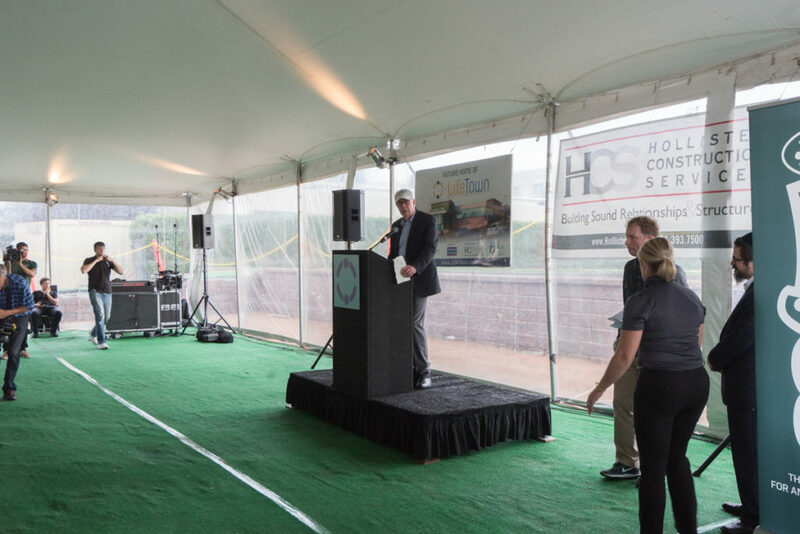 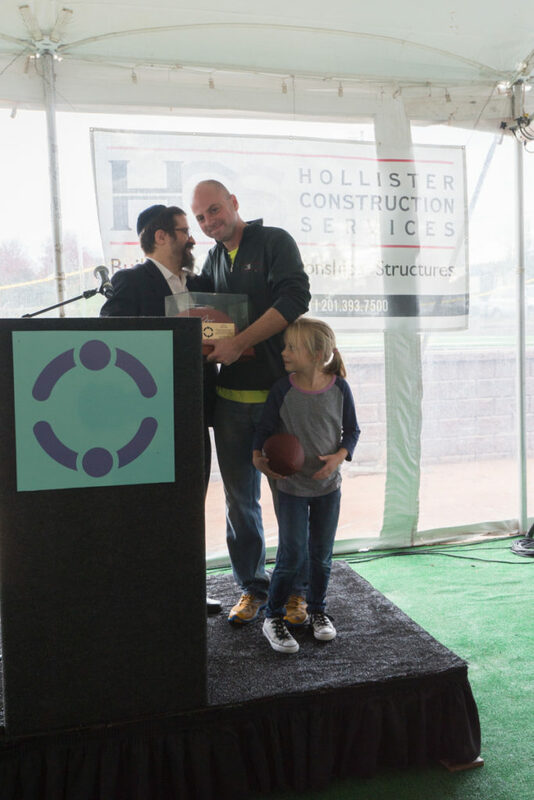 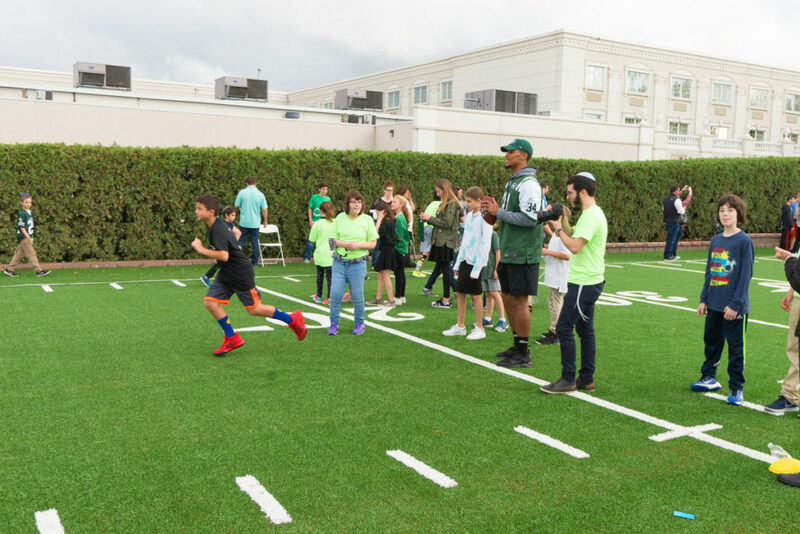 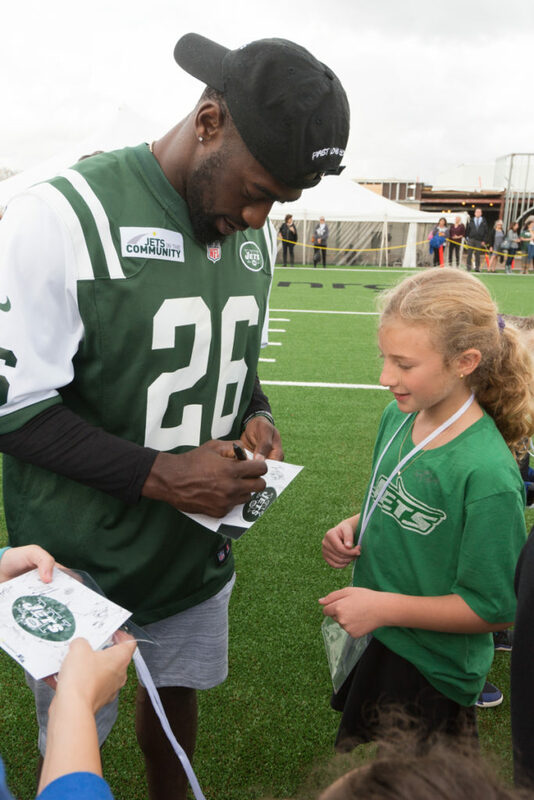 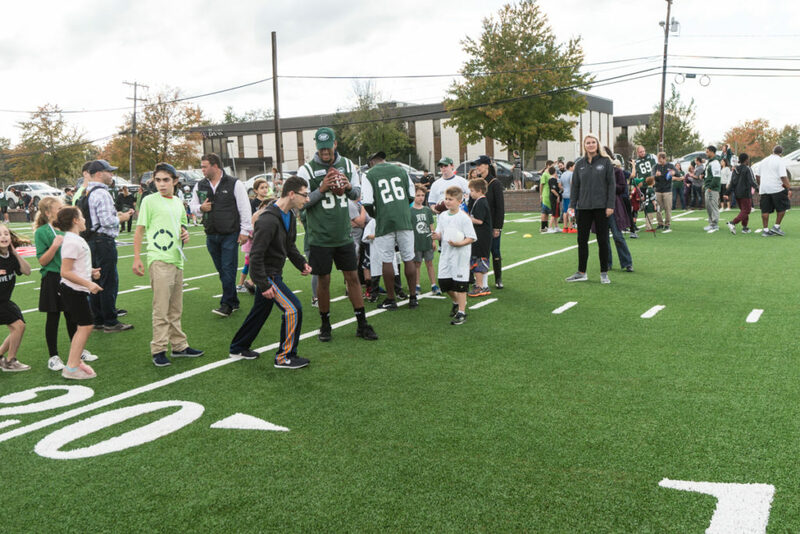 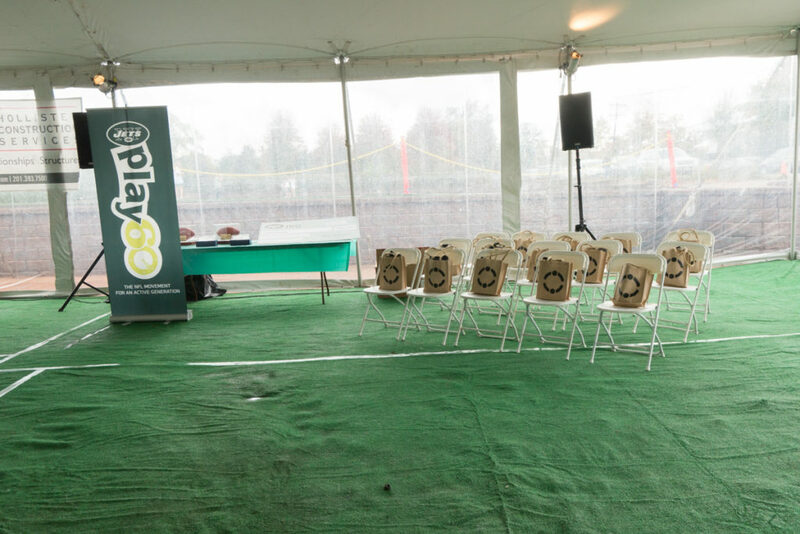 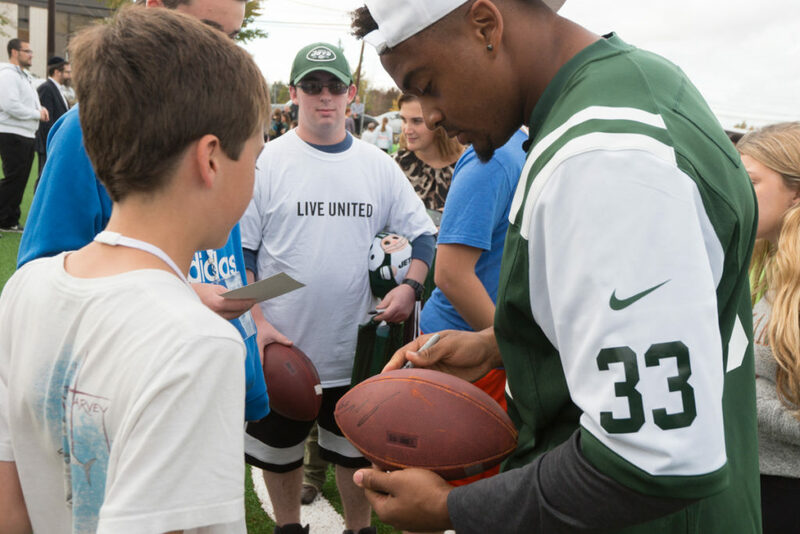 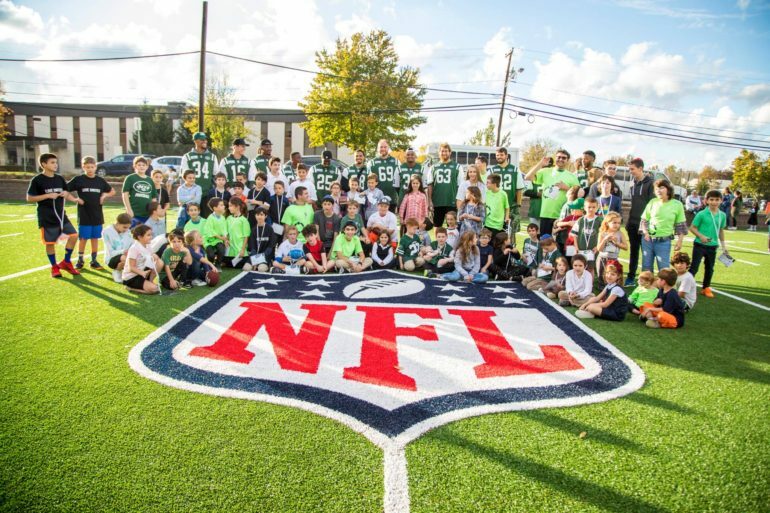 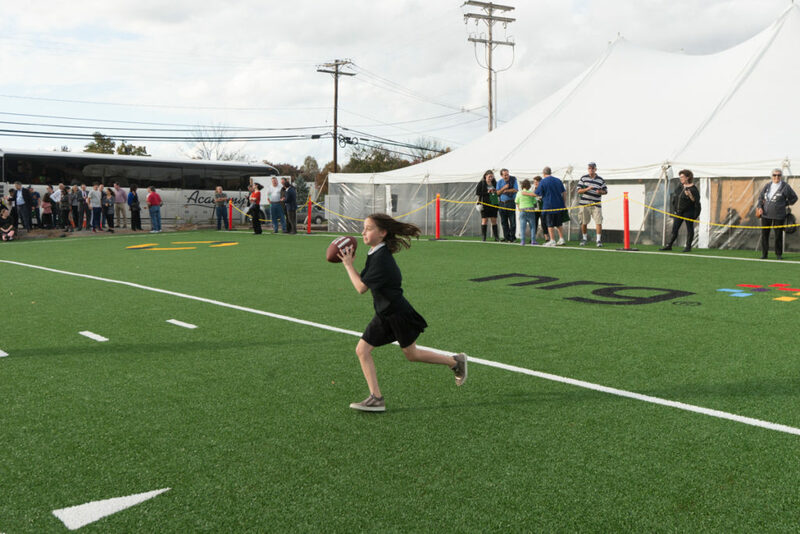 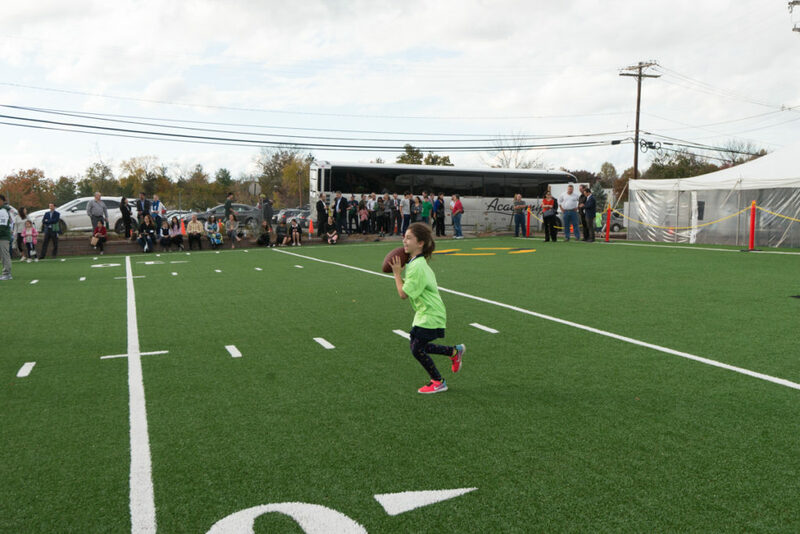 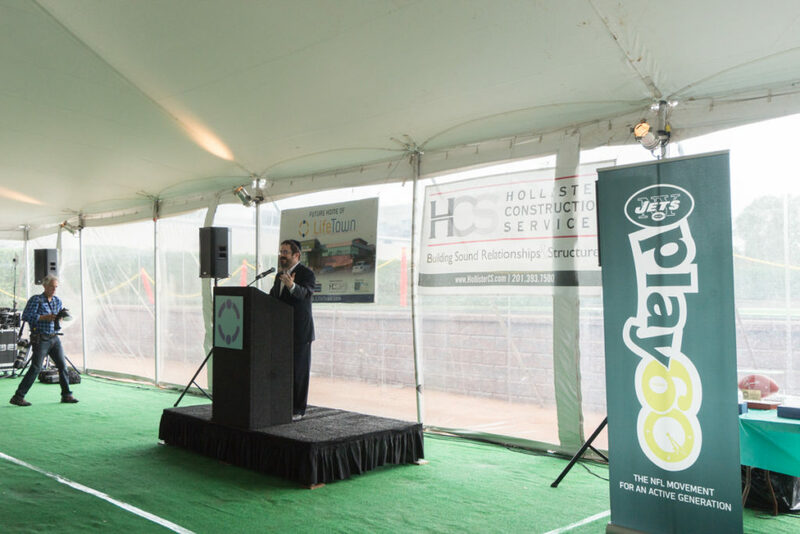 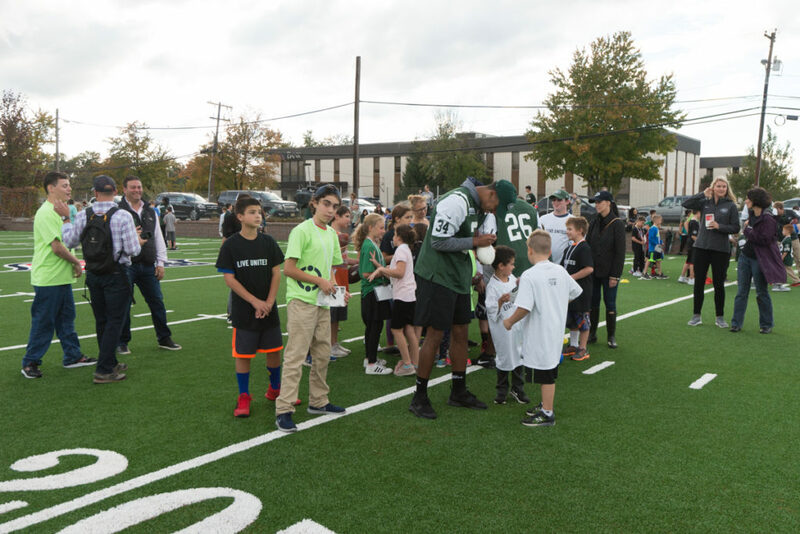 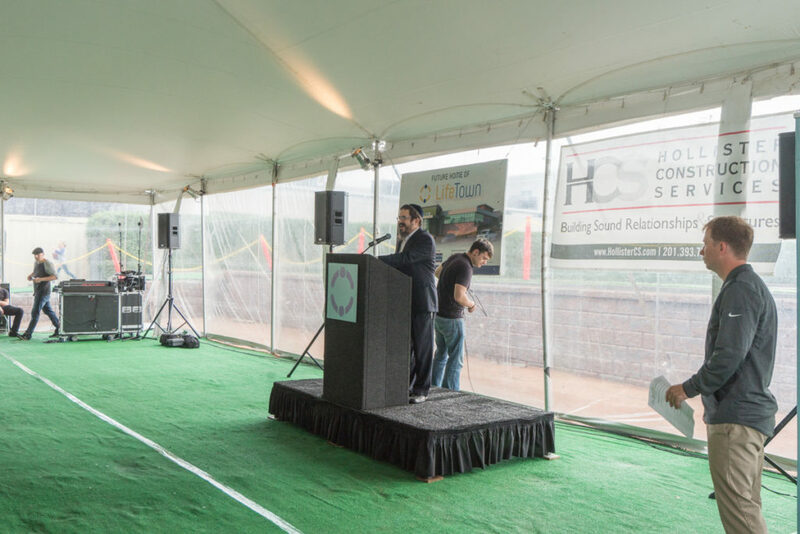 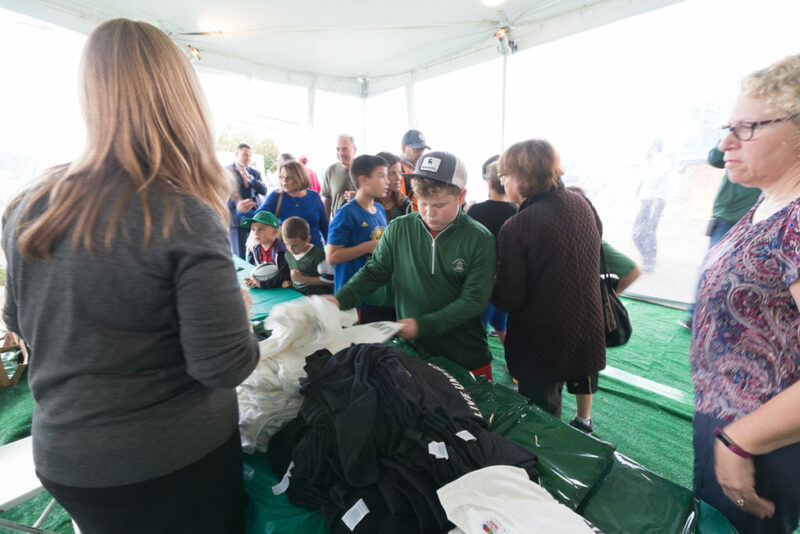 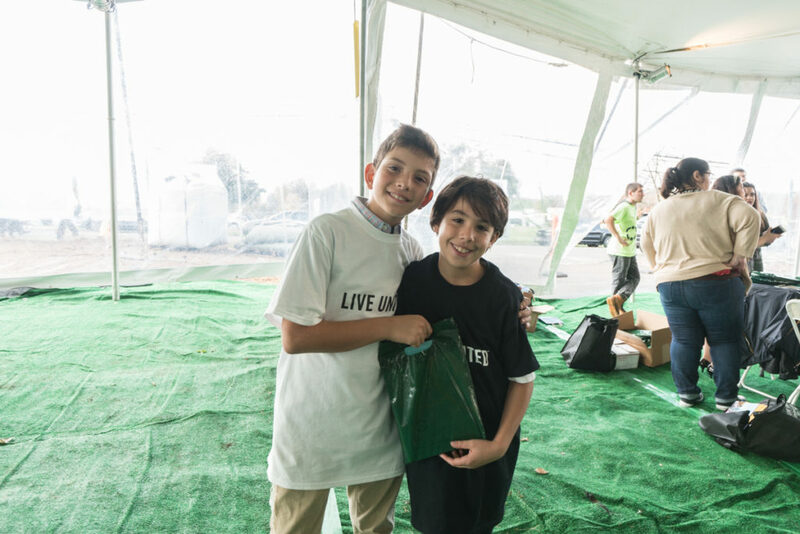 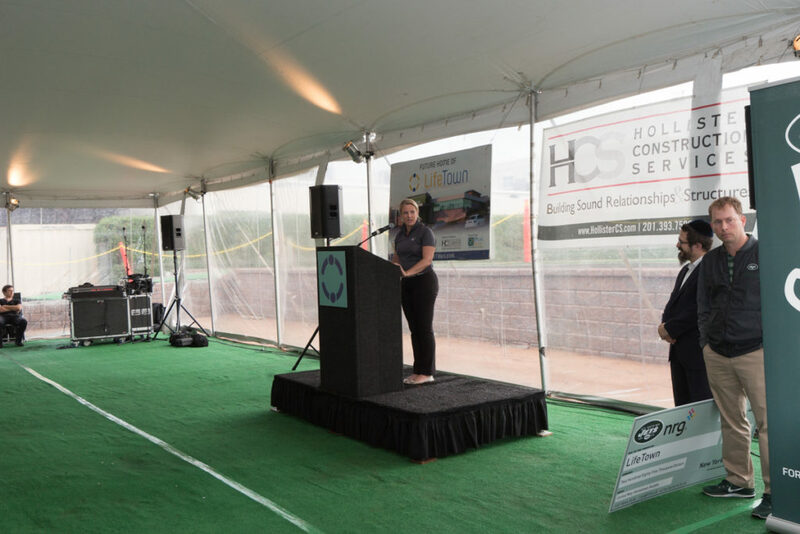 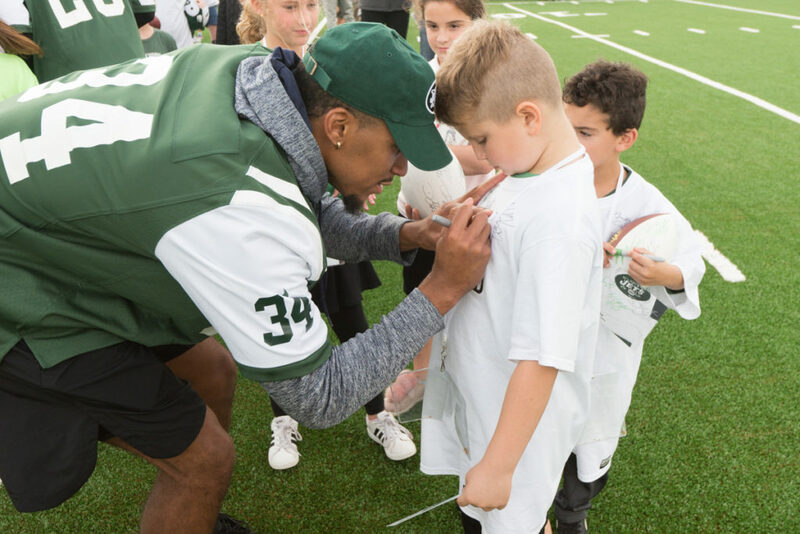 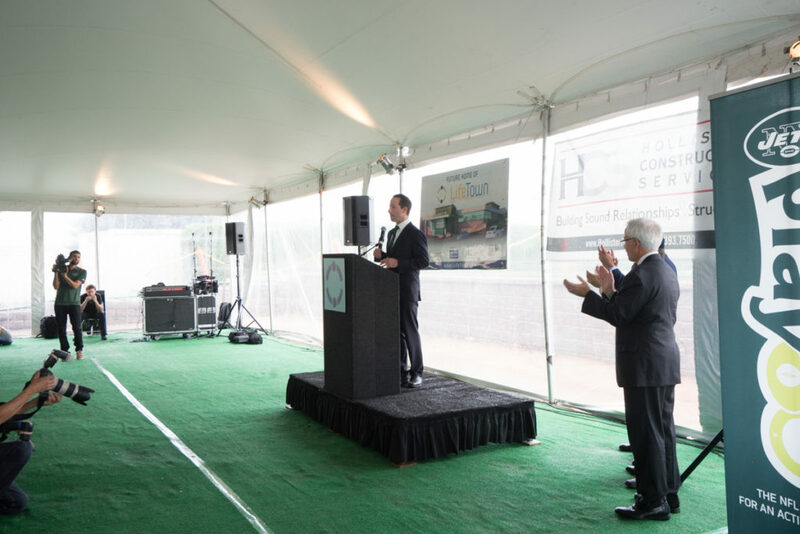 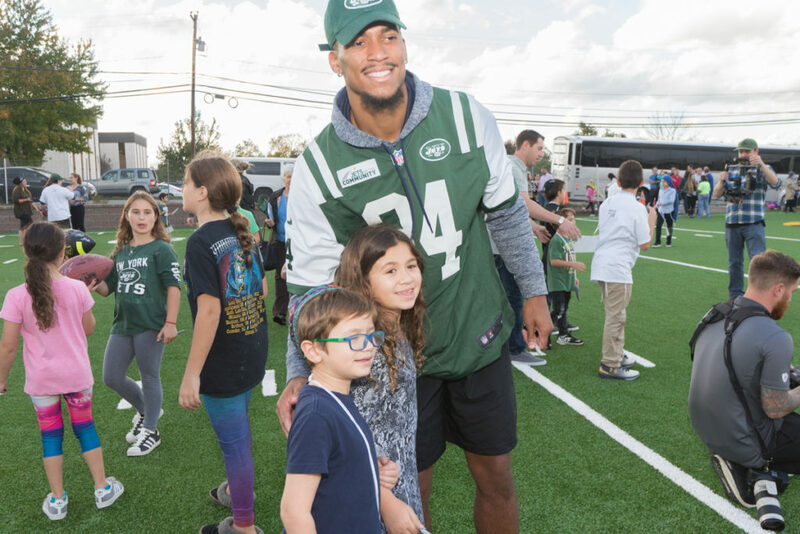 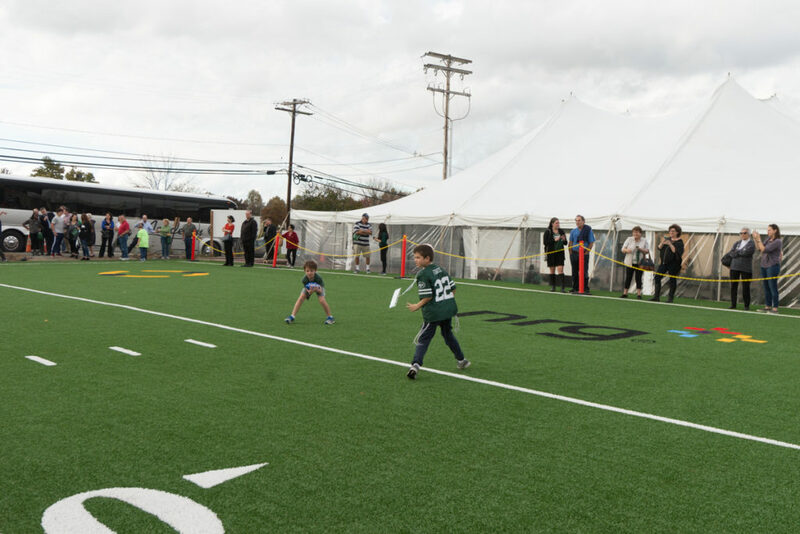 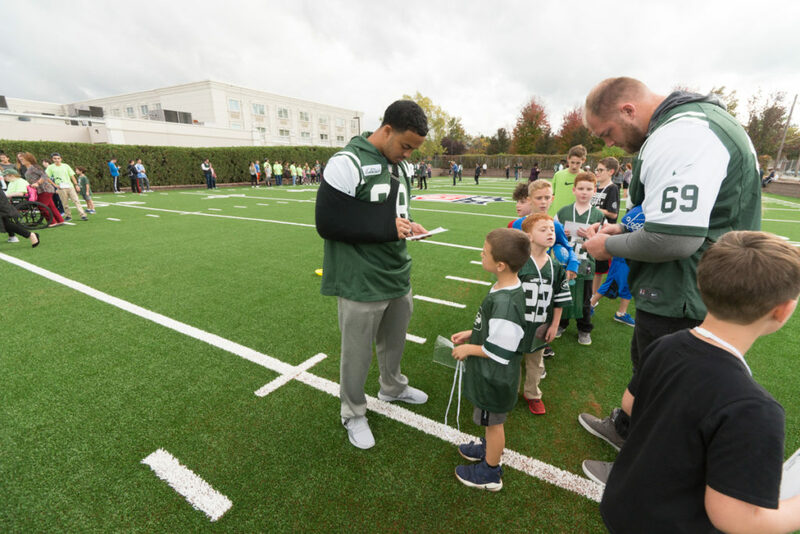 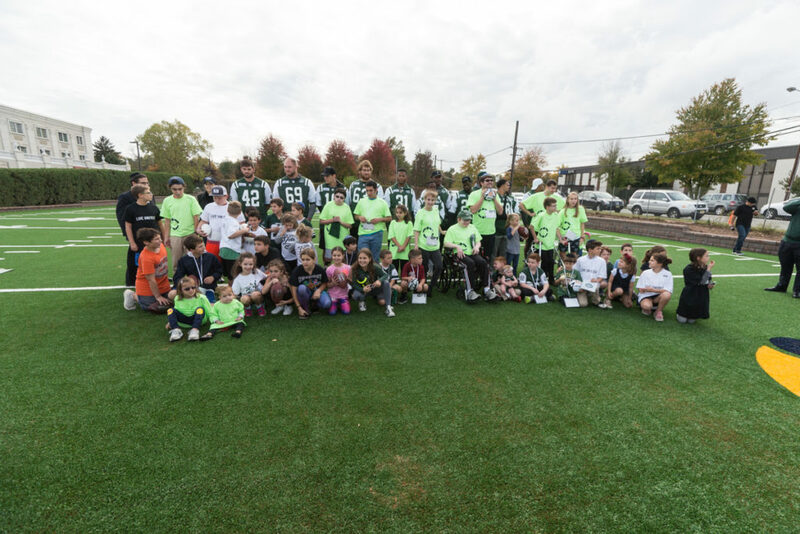 Hollister Construction Services recently partnered with The Friendship Circle, NFL Foundation, New York Jets, United Way of Northern New Jersey and NRG to host a Hometown Huddle to inaugurate a new turf field at LifeTown in Livingston. 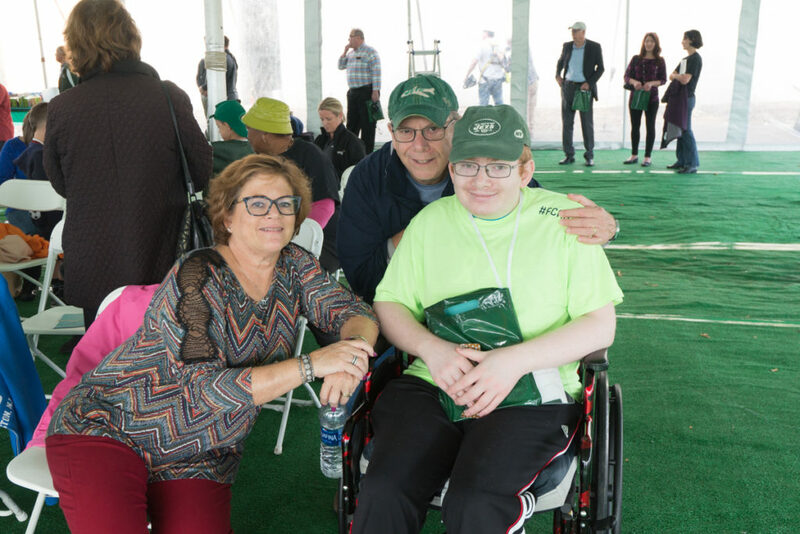 Built for The Friendship Circle, LifeTown will serve young people with special needs by providing them with a 53,000-square-foot complex that features a wide range of facilities for them to experience everyday activities in a controlled environment. 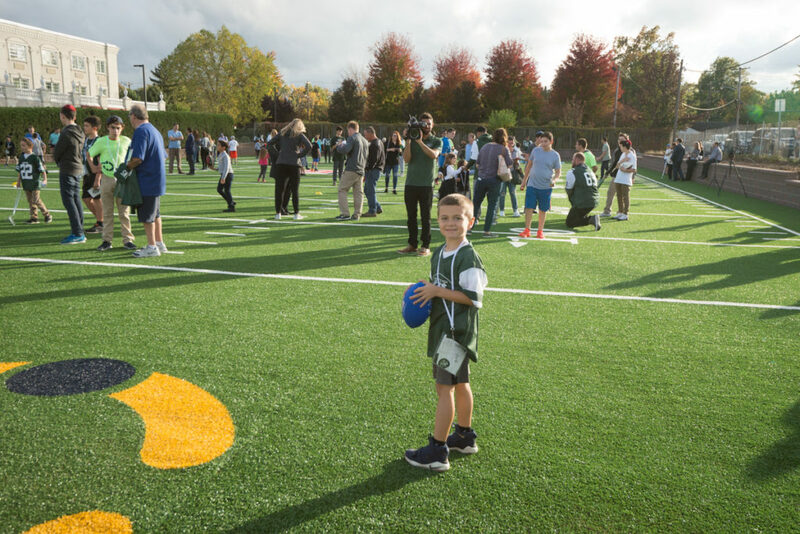 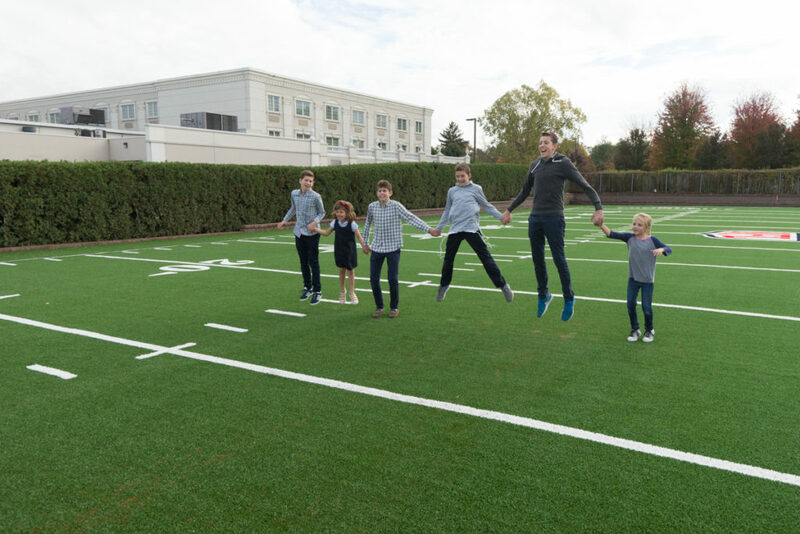 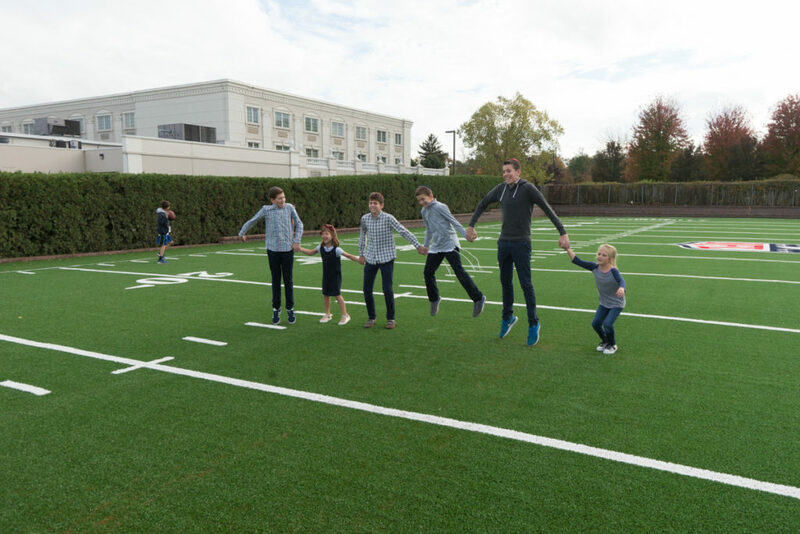 The new 24,000-square-foot turf field will bring all children, with and without special needs, together to learn from each other while being part of a friendly game. 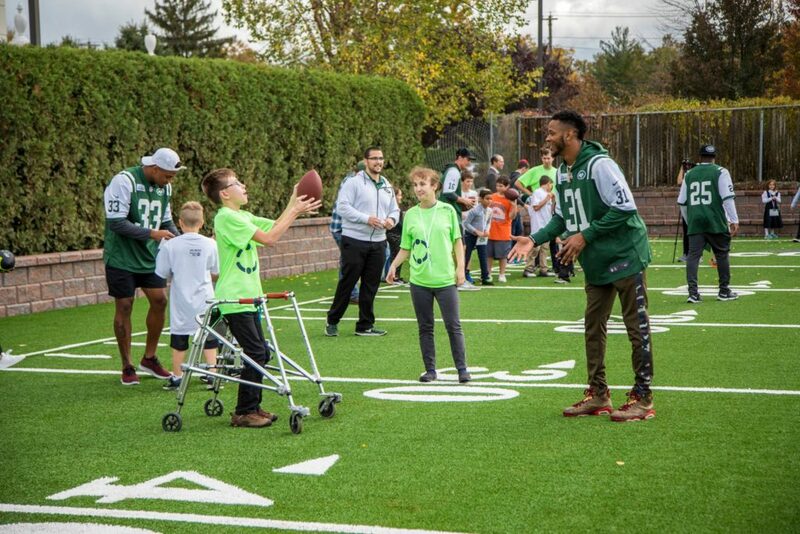 It will serve LifeTown’s flag football league which includes teams from special education schools from throughout the area. 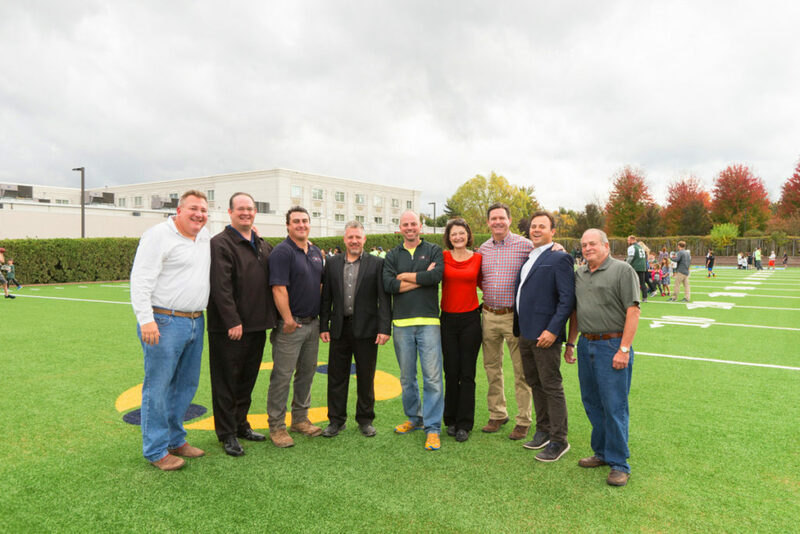 The project was a team effort between Hollister, Sanray Construction, FieldTurf and Land Tech, which transformed a parking lot into a turf field in six weeks. 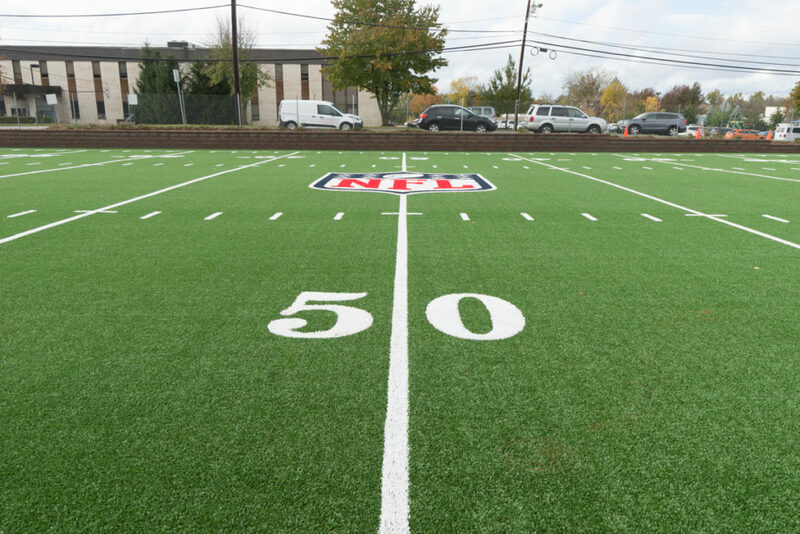 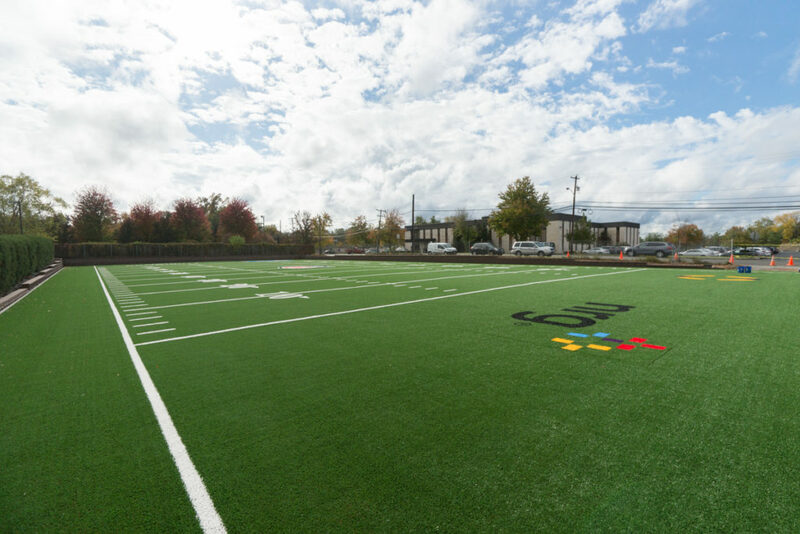 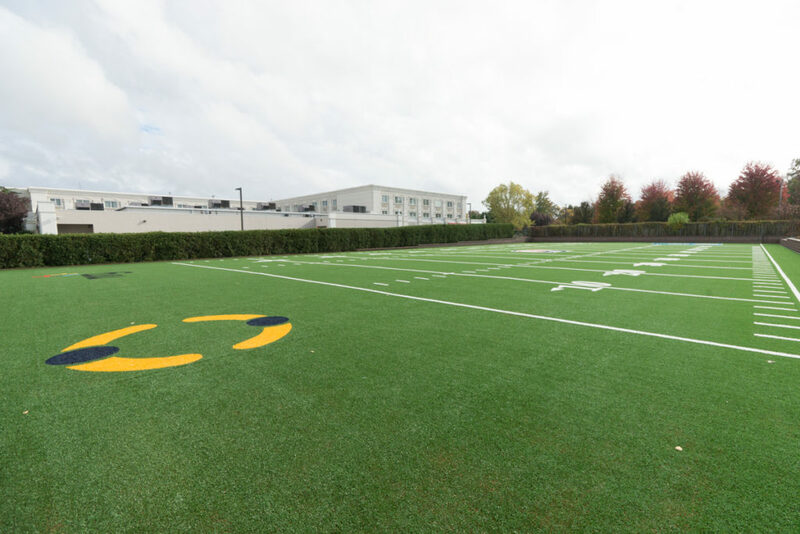 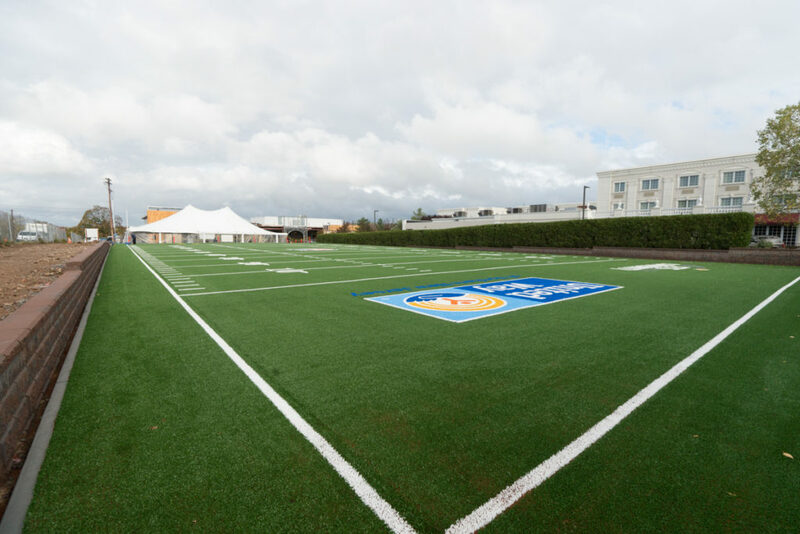 The first of its kind, the turf field is made up of olive pits and not the traditional rubberized pellets, making it 40 percent cooler in the summer months.